It’s the first rule of real estate. 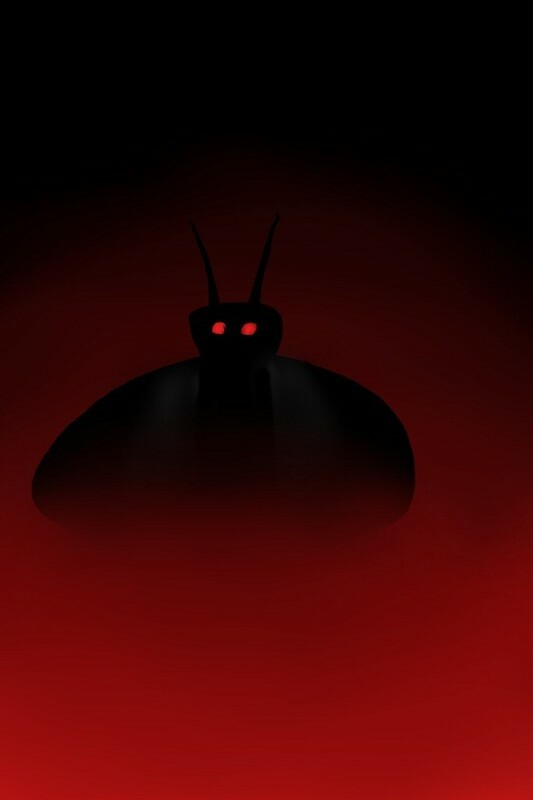 No one knows that like a company now advertising a house in Clendenin by emphasizing its proximity to the original Mothman sighting. The building is being offered by Williams & Williams Real Estate Auction out of Tulsa Oklahoma. An online auction runs Dec. 4-6, and the opening bid is $1,000. The three bedroom, one bath house is located at 25 Kanawha Avenue. It was built in 1913, and has been foreclosed upon. But that’s (perhaps) not the best property’s best feature. 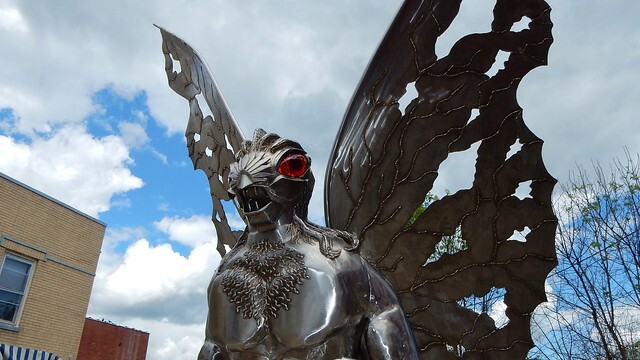 Who wouldn’t want to live in a place with ties to West Virginia’s infamous Mothman? Quite a selling point? Or not so much? 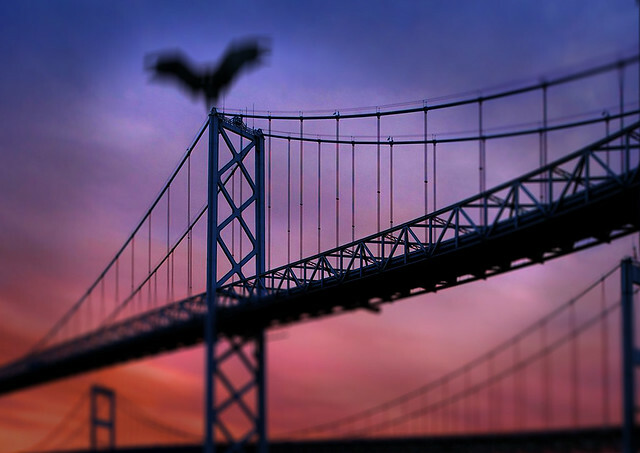 Many associate the mysterious creature with Point Pleasant and the deadly Silver Bridge collapse. Turns out there’s more to the story. 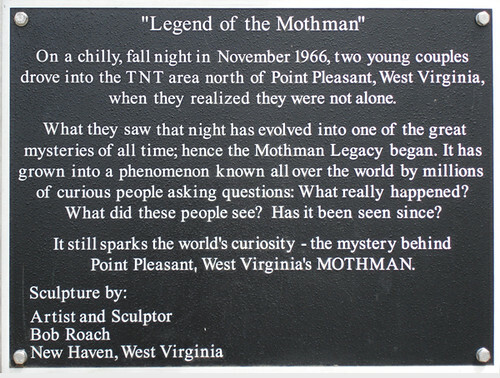 “Fifty one years ago the first Mothman sighting took place just steps from this Clendenin, West Virginia, home we are auctioning next month. Recent sightings keep the legend – and tourism – alive,” the online advertisement reads. 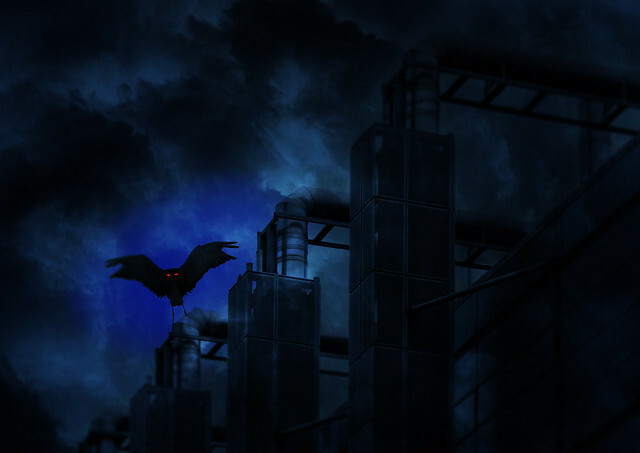 Interestingly enough, five men are credited with having been the first to see the winged creature. According to local lore, they were digging in a grave in a cemetery near Clendenin on Nov. 12, 1966. About a month later, two couples from Point Pleasant told police they’d had a similar local sighting. 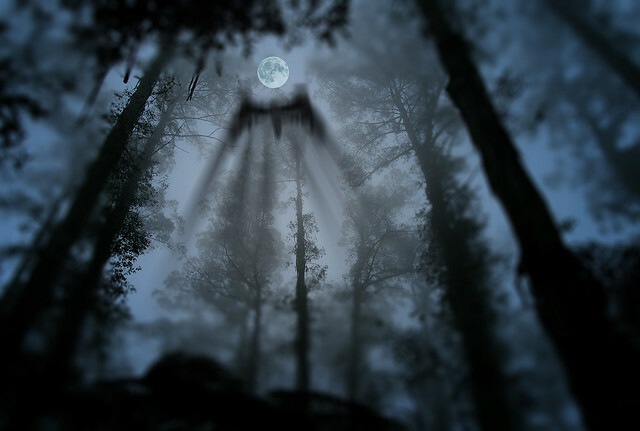 “They saw a large white creature whose eyes glowed red when the headlights picked it up. 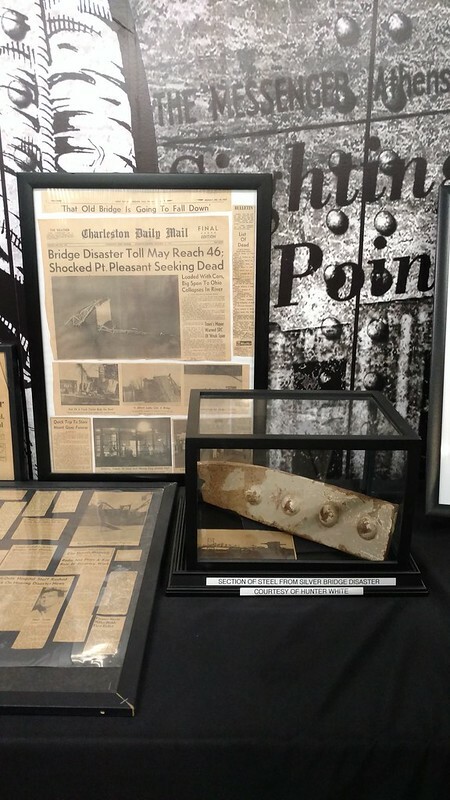 They described it as a large flying man with 10-foot wings following their car while they were driving in an area outside of town known as the TNT area, the site of a former World War II munitions plant,” according to a social media post by Twisted World. Several more sightings were reported. Two volunteer firemen compared it to a large bird with red eyes. Then Mason County Sheriff George Johnson wrote it off as a large heron. Not everyone was convinced, one way or the other. 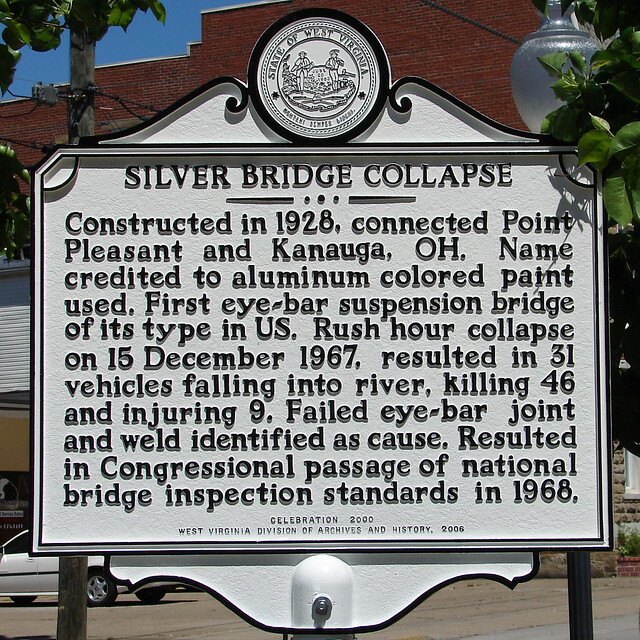 Others wondered if there was a connection when the Silver Bridge collapsed Dec. 15, 1967, killing 46 people. Today much of Point Pleasant’s tourism industry centers on the curious creature, including a local museum and annual festival.